Is there more disruptive behavior in schools today? The simple answer to this often asked question is probably yes. But the reasons lie more outside teenagers than inside. 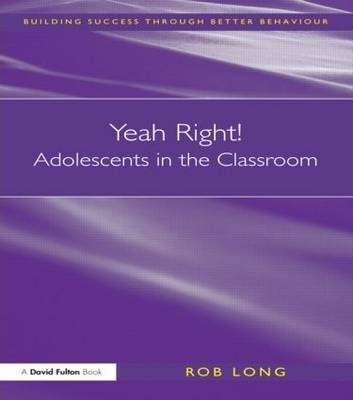 For too many teachers there can be an attitude of: "I was a teenager once, therefor I know what it is like." But we all develop in a unique time and the issues are unique to that period. Pressures differ, fears differ. There are times when schools are seen to be part of the problem rather than the solution.